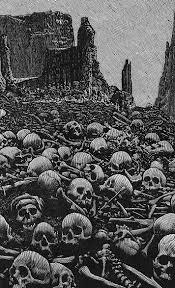 The prophet Ezekiel said: The hand of the Lord came upon me, and he brought me out by the spirit of the Lord and set me down in the middle of a valley; it was full of bones. We have have made our way through the season of Lent. 5 weeks, 5 encounters between Jesus and another aspect of the human condition. Temptation in the desert, Doubt with Nicodemus, Shame with the woman at the well, Refusal to see with the Blindman. We have journeyed through the Lenten wilderness, one where our flaws and sufferings have been put on display, where Jesus has met us with mercy. But today, we take a turn towards Holy Week. Jesus still meets us in an aspect of the human condition, in grief. But the story foreshadows what is to come. The prophet Ezekiel said: The Lord led me all around them; there were very many lying in the valley, and they were very dry. We begin with Jesus staying somewhere other than where he needs to be. 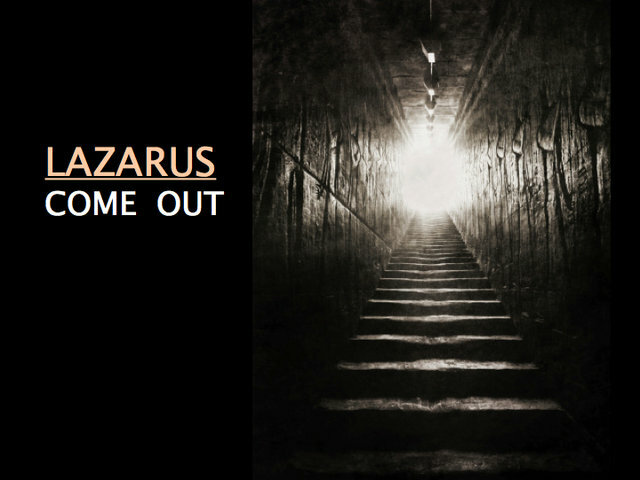 His friends are in trouble, Lazarus is dying. They are hoping that he can come to help. But instead, he stays. And then after a few days of waiting, Jesus announces that Lazarus is dead and then decides to go to his friends in Judea. His disciples are puzzled, but his answer to them tells us that something is about to happen. “Let us go, that we may also die with him”. As Jesus finally makes his way to Bethany, the real drama begins to unfold. News of Lazarus death is spreading, Jesus has arrived in time to grieve and mourn, but too late help. On is way to town, Martha, Lazarus’s sister comes out and meets Jesus on the road. Martha, the busybody, the one who needs to work goes to Jesus let her grief, her frustration out. “Lord, if you had been here my brother would not have died. But now I know that God will give you whatever you ask him.” Martha’s word are accusatory. They are desperate. She is filled with grief. She utters words that could very well be our words. “Lord, if you… than this…” We have all been where Martha is. We have all suffered loss, felt grief, felt abandoned or ignored. We have all suffered and wished for God’s intervention. We know what it is like to be Martha. To want the past to be different, to even be desperate enough to hope that it can still be changed. Jesus is gentle enough with Martha to let her make her accusations, to let her share her desperation. Jesus could have done something, maybe he still can. Can we imagine hearing those words? Can we imagine the God of the universe, come in flesh, speaking to us, “Your loved one will rise again.” Can we imagine standing in front of God almighty as God declares that death is no barrier, that the powers of this world that we think are unassailable are a mere trifle to God. The God of the universe has just declared that Lazarus will live… But we don’t get the impression that Martha has really absorbed what Jesus is saying to her. And maybe this time it is Jesus who now understands something. These two women cannot see past their grief. They can only experience the rawness of their brother’s death. They can only painfully long for their brother to be alive, they can only see the empty hole their dead brother has left in their world. This time, Jesus simply stays with these grieving women. He doesn’t try to remind them of who he is, he doesn’t try to buoy their spirits with what he is about to do. He simply shares in their grief. He weeps with Mary. He is moved by their fragility and their weakness. Jesus knows that is about to call Lazarus out of his grave, but still the deep grief that Mary and Martha carry moves him in spirit. We have all been here. This is the essence of what it means to be human. To know that everything around us is limited. That we only have so many days on earth, we only have so much we get to do and be and experience. And so we grieve the rest, all the things, all the people that we didn’t get enough of. Maybe this grief is a lesson. Maybe it isn’t the disciples, or Mary or Martha who need to see God’s glory. Just maybe Lazarus hasn’t died so that we can see, but so that Jesus, so that God, can live grief in person. So God can truly understand what it means to grieve. And when Jesus finally knows incarnate grief, knows what it is mourn like we do, Jesus makes his way to the tomb. Jesus has learned grief, but Mary, Martha, the disciples, the crowds, us, we are about to see what it is like to be God, what death really means when it stands before the creator of life itself. 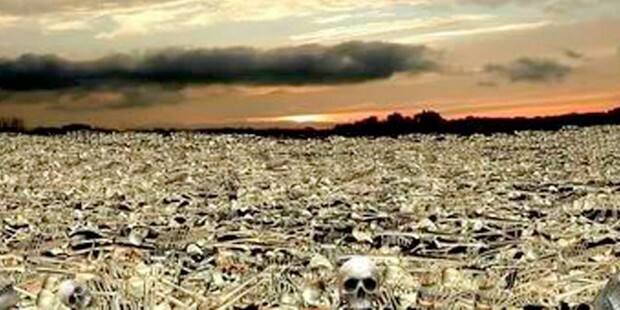 Ezekiel said: So I prophesied as I had been commanded; and as I prophesied, suddenly there was a noise, a rattling, and the bones came together, bone to its bone. I looked, and there were sinews on them, and flesh had come upon them, and skin had covered them; but there was no breath in them. Then he said to me, “Prophesy to the breath, prophesy, mortal, and say to the breath: Thus says the Lord GOD: Come from the four winds, O breath, and breathe upon these slain, that they may live.” I prophesied as he commanded me, and the breath came into them, and they lived, and stood on their feet, a vast multitude. And Martha protests. Martha the one who has just confessed that Jesus is the resurrection and the life, says “There will be a stench for he has been dead four days”. Martha, stuck in her grief, is telling Jesus there will be a stench. She is speaking to God, to the One who uttered the word “Let there be…” in creation. The one whom is the Word of God made flesh. In the Gospel of John, Jesus rarely looses his cool, but at this moment, full of grief too, Jesus snaps are Martha, “Did I not tell you that if you believed…” Jesus has declared that he is the Resurrection and the Life, and we are about to see what that really means. 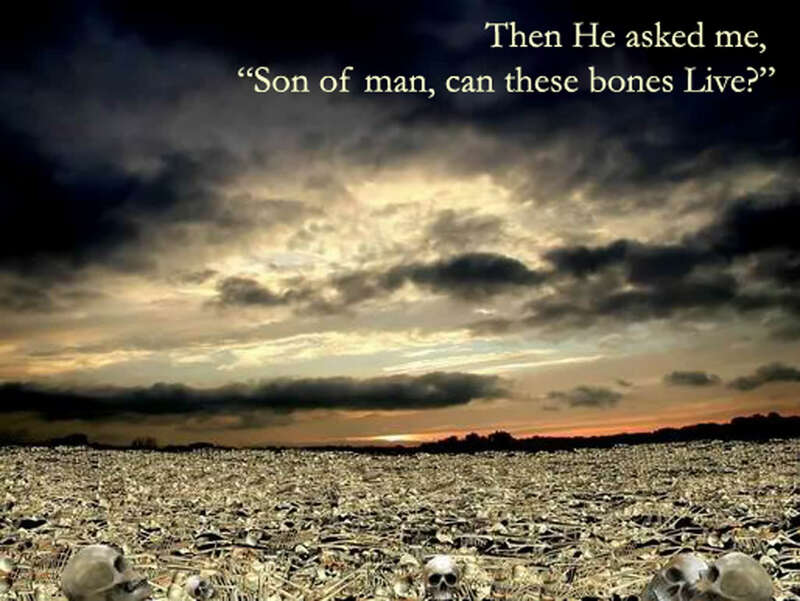 The prophet Ezekiel said: Then he said to me, “Mortal, these bones are the whole house of Israel. They say, `Our bones are dried up, and our hope is lost; we are cut off completely.’ Therefore prophesy, and say to them, Thus says the Lord GOD: I am going to open your graves, and bring you up from your graves, O my people; and I will bring you back to the land of Israel. And you shall know that I am the Lord, when I open your graves, and bring you up from your graves, O my people. I will put my spirit within you, and you shall live, and I will place you on your own soil; then you shall know that I, the Lord, have spoken and will act,” says the Lord. That promise comes to fruition. Lazarus walks out of the tomb. And we too are about to enter into Holy Week. Into a period of remembered and renewed grief. We know what is going to happen, we know that Good Friday is coming. We know that humanity is about nail Jesus, that we are about to nail God to the cross. “On the third day, he will rise again”. The flashing red lights of firetrucks and ambulances at an accident scene. A “Code Blue” announced over the intercom at a Hospital, followed by doctors and nurses rushing down hallways. A doorbell rung late at night and a door opened to a police officer or pastor bringing bad news of a loved one. Intrusions all of them. Harsh images that force us to see how fleeting and impermanent we are. They take away the cares and concerns of real life. The price of gas, keeping coffee appointments and promotions at work hardly seem to matter in face of these images. And it is not out of morbid curiosity that we all slow down to drive by and gawk at that road accident. Or that all conversation stops in a hospital waiting room when all the staff rush away for a Code Blue. Or that we peer out our windows to see why there are those late night and officious looking visitors at the neighbour’s house. We don’t stare because it is fascinating. We stare because it could have been us. Deep within us, we all have the sense that if the wind blew hard enough, we might just drift away like dust in the wind. Tonight, on this night of Ashes, we are practicing. We are practicing for the moment when it will be us. “Earth to Earth, Ashes to Ashes, Dust to Dust” and sand in the shape of a cross will be laid on our caskets as we wait to be lowered into the grave. This is a harsh reality that we rehearse tonight. Sin and Death are real. The palms that we waved last year on Palm Sunday have been burned to remind us of this. No matter how much attention we give to all the other goings on in life, no matter how much we care about work, family, sports, entertainment, politics, fashion, money or whatever, we are all subject to the effects of Sin and Death. And not just sins like lying, stealing, or cheating. We are subject to Sin. To the reality that we are born into brokenness. That we are always on our way to death, from the moment we are born. We are the walking dead. This is what the Ashes say to us. Just as ancient peoples covered their heads in sack cloths and ashes, as the ashes are placed on our foreheads, they speak of the shame of mortality that we all bear. The shame of being alienated and estranged from each other, and alienated and estranged from God. The shame of having tried to be like God in garden of Eden, and the shame of failing to be like God ever since. But the shame that the Ashes speak to us is not only our shame. The ashes speak also of God’s shame. The shame that God willingly took on when Christ was born into our dusty flesh. The shame that God willingly endured by living with those who could not understand, those who pridefully mocked, those who maliciously persecuted and those willingly deceived. The shame that God then took to the cross, in humiliation. The shame that God took to the grave in powerlessness. But out of the shame of the grave, God began the undoing of our own shame. God began the reversing of our mortality. God began the birthing of Life in the face of death. And while the Ashes remind us of sin and death, the cross shape in which they are placed reminds us that Sin and Death have been conquered. The Ashes will be washed away, but the cross on each of our foreheads remains. Because that cross was placed there in Baptism. It was sealed to our dusty bodies as a permanent sign that out of death comes new life. 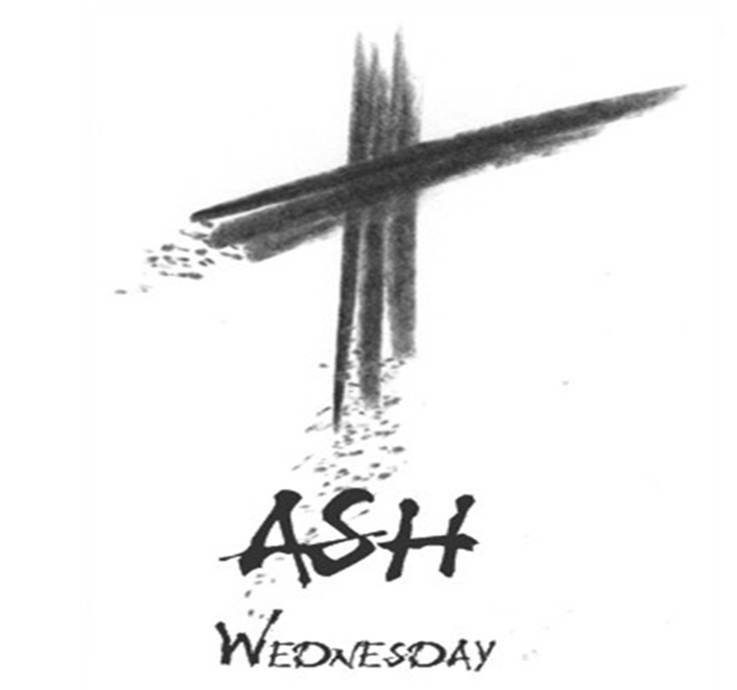 The Ashes mark the beginning of our journey into Lent. The beginning of God’s journey down with us into the water’s of baptism. The place where the power of death is washed away. And under the waters, we too die. We die to our shame and to our sin. And over the next 40 days of Lent, we will be continually washed in baptismal waters, we will be made ready to dine with Jesus at the Last Supper, we will be made ready to lay at the foot cross, we will be made ready to preach the good news of an empty tomb. But tonight, on day one, as the red lights flash for us. As the Code Blue is announced for us. As the door bell is tolled for us. As the sand is tossed on our caskets, We will confess that we are dust, and to dust we shall return. Marlena thought about how she had wound up here. She, her husband Jim, and her kids, David and Lizzie, were waking up in a road-side motor inn. They had been snowed in the day before when a storm had hit. They had been driving across the wintery prairies, towards her parent’s house in the next province over. Her parents were getting older and no longer able to make the trip to them for Christmas, so Marlena decided to bring Christmas to her parents. This had caused undue stress. She had been working furiously hard ahead of time. Buying presents, baking goodies, she even had the groceries for Christmas dinner in the middle seat of the van, between her and the kids. Marlena was full of anxiety this Christmas. She wanted everything to be perfect, she wanted everyone to have a wonderful time. So far there had been more grumpy moods and fights than wonderful times. Last night they had experienced something incredible. The hotel was full of stranded travellers, and Jim and Marlena invited a young couple, Jesse and Miriam, to share their room with them because there were no vacancy. Miriam had been very pregnant and went into labour. She gave birth in the middle of night, to a baby boy, Christopher. The EMTs, led by John Shepherd, had finally made it to the hotel, but baby and mom were fine and recovering well, so they stayed at the hotel instead of braving the snowy roads to the hospital. That had been last night. By mid-morning, David and Lizzie, Marlena and Jim’s kids, were up and as restless as ever. They were fighting again, Jim was disengaged like he had been all month. The wonder and joy of last night, had faded only to be replaced by the frazzled feeling Marlena had been experiencing all month. She was snapping at her kids ageing they misbehaved, and she had threatened to take away Christmas 3 times this morning, because it was the only thing that got them to behave. Marlena, Jim, David and Lizzie moped around the hotel all morning, and by lunch they found themselves in the dining rooms, grumpily waiting for the storm to end. As the other hotel guests waited out the storm, they began to congregate in the dinning room too. However, the kitchen staff had long gone home to spend Christmas with their families. There were several tired and hungry travellers munching on chocolate bars and soup crackers from the vending machine. Many kids were running around wild, while parents sat impatiently looking out the window, hoping the storm would let up. “I have groceries going to waste in my room. I am going to cook Christmas dinner, you are welcome to eat with us”. Marlena was shocked with herself. The whole room had gone silent and all she was getting in return was shocked looks from the sullen crowd… after what felt like hours, but was only a few awkward seconds, a voice from the back of the room said, “I will help, I have some food with me too”. And then all of a sudden 8 more people volunteered and off they went to front desk to get permission to use the kitchen. The hotel clerk wasn’t sure about the idea at first, but realizing that he may have a riot of hungry snowed in travellers on his hands, he agreed to allow them use of the kitchen. The group cooked and baked all afternoon, the hotel’s stranded guests changed from being a group of weary people, to a group with purpose. They were going to make something of this day now, and they were going to do it together. In a few hours, the dinning room had been transformed into a grand dinning hall. All the tables had been moved into one big table with over 100 chairs. There was homemade wreaths on the walls, and even one of the front lobby shrubs had been made into a Christmas tree, complete with toilet roll angel on top. The hotel guests were all gathered around the table. David and Lizzie were sitting with Jesse, Miriam and baby Christopher. They were mesmerized by the new born, and they hovered around Miriam wanting to get a closer peak, or to let the newborn baby grab at their fingers. Jim was floating around the room with a huge grin on his face, he had taken on the role of head waiter and was directing his group of volunteers as to where to place each dish that came out of the kitchen. All around the table, people were laughing, some were singing Christmas carols, others were telling stories of Christmases past. Even the front desk clerk had joined the table and was right in to the celebration. Finally when the table was covered in food and everyone was ready to eat, Marlena stood up to commence the meal. She thought about praying, but she wasn’t sure if everyone would appreciate that, so instead she made a short speech. “Excuse me” said a voice from somewhere in the crowd. “But where I come from, its customary to read from the Christmas Gospel on Christmas Eve, so if you would permit me”. It was a little old man, and he was wearing a black shirt with a little white square at the front of the collar. Marlena nodded absently and sat down. It was an old priest who had spoken and he pulled a bible out of his coat pocket and began to read. As Marlena listened to the poetic words of the Christmas story as told by John, she looked around the room. As she looked at unfamiliar faces, young and old, singles, couples and families, the familiar words took on new meaning. This Christmas was far from perfect. There was a feast on the table, but it was hardly the traditional Christmas meal. It had almost every kind of food you could imagine from turkey to pizza to curry. Gathered around the table was a group of complete strangers, not the usual family. But there was a Christmas miracle baby, and his parents, there was an inn with no more rooms. There had been guardian angels protecting the travellers, and even an Shepherd come to see the new baby. Marlena could sense that this rag tag group, was together for something bigger than they could imagine. All of them were stuck in a hotel on the side of the road during the holidays. This Christmas was far from perfect, yet it had become something special. As Marlena saw her kids happy for the first time in weeks, her husband smiling and engaging the world around him, she felt at peace. No… this Christmas was not the perfect one she had imagined and worked so hard for, but neither were they the perfect family, perfect people needed to make Christmas perfect. Christmas was about God becoming flesh and joining with the imperfect. As she scanned the intent faces also listening to the Christmas Gospel, she realized that it was for these imperfect people and it was for imperfect her, that Christ the Lord was born in a manger. And Christ was here in the flesh, in the faces of those sitting around the table with her, family, friends, but mostly strangers, young and old. “14And the Word became flesh and lived among us”. Is Jesus really the Messiah? Each year, sometime in the week before the 3rd Sunday of Advent, Father Angelo would call Bill with the same question. “Are we on for this Sunday?” he would ask. Bill always said yes. Every 3rd Sunday of Advent, Bill and Father Angelo would go together after worship to visit the grave of Bill’s wife Harriet. Then the two would go and have a meal at her favourite Restaurant. Father Angelo had asked a few years ago if Bill wanted to meet on the actual date of Harriet’s death, but Bill insisted that Harriet would have rather marked time by the church calendar, and so the 3rd Sunday in Advent – Joy Sunday – the day Harriet died became their day to remember her. Today, we are officially past the half way mark of Advent, we are soon done 3 Sundays, with only 1 to go. We call this Sunday Guadete Sunday, Latin for Joy, as reminder of the hastening coming of Jesus, both at Christmas and in the second coming. Joy Sunday can almost be seen as a mixture of Advent and Christmas. In some churches, the colour of vestments and paraments are changed to pink or rose. A colour halfway between blue or purple and white. You could almost say that our little taste of Christmas today was an appropriate glimpse ahead, even in the middle of our Advent waiting and watching. Yet, despite the “Joy” of the day, the story of John the Baptist is not exactly joyful. We are brought back down to Advent reality of watching and wating. 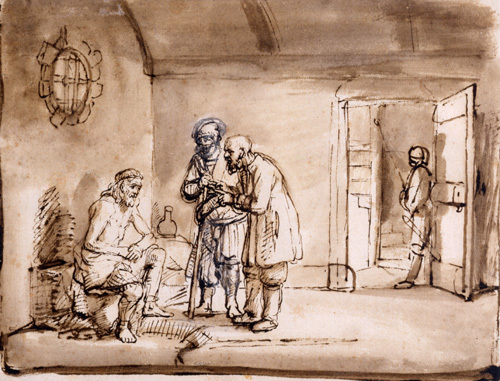 John the Baptist is languishing in prison… the Pharisees and Sadducees who came to see the show last week as John preached in the wilderness, along with King Herod, have decided that John is too much of a threat to their power. John sends word through his followers to Jesus. He wants to know if it was worth it. The mighty prophet is losing his faith. This really is an Advent bummer. “Are you the one? Or are we to wait for another?” John asks Jesus. We heard John’s bold and dramatic preaching last week. The fiery prophet was foretelling the coming of a mighty Messiah. A Messiah who was going to come and burn some chaff, to lay an ax to the roots of oppression. John’s Messiah was coming to upend the powerful and lift up the weak. John has high expectations for Messiah. John has a certain vision of what Messiah should look like and what Messiah should do. Jesus is not what he expected. A wandering preacher healing a few sick, helping a few poor people, preaching to the hungry crowds and generally staying away from Jerusalem where all the power is – this is not what John was hoping for. Shortly after Father Angelo started at St. David’s, Harriet got sick. Father Angelo took over from a retired Father Gabe who had spent 35 years – his whole career – at St. David’s. Gabe informed Angelo, that while he was retiring, that he would continue to visit Harriet in the hospital. A few months later, Angelo was sitting in his office late Sunday afternoon, on the 3rd Sunday of Advent, when the phone rang. It was a nurse from the hospital asking for Father Gabe… Angelo knew that Gabe was spending Christmas with family in another province. Angelo offered to come, and the nurse sounded grateful. When Father Angelo came to Harriet’s room, Bill met him at the door. “Where is Father Gabe?” he demanded. “He is away” said Angelo. “But I am here”. “Father Gabe knows what we want, and what we expect in this time. He is the one who should be coming. Thank you, but we don’t need you to stay” Bill was getting agitated. So Father Angelo turned to leave. Like John the Baptist, we can carry with us expectations of what Messiah is supposed to be. We want Jesus to be a sweet little baby in December. A conqueror at Easter. A non-intrusive presence a lot of the time. We want a God who will show up when we need help and stay out of the way the rest of the time. We want a Jesus who will fight our battles and be on our side and act when we want him to act. We imagine things going a certain way, and we can begin to lose hope when they don’t. When we find ourselves in prisons of suffering, isolation, crisis, brokenness… we can begin to question the Messiah, just like John does. We thought Jesus was going to do and be what we expected… but Jesus rarely measures up. We want a powerful voice to silence our enemies, but Jesus makes the deaf hear. We want a Jesus to see how good we are, but Jesus gives sight to the blind. We want a Jesus who will carry our burdens and troubles, but Jesus makes the lame to walk. We want to never experience suffering, or pain, or discomfort, to never be touched by disease or illness but Jesus cleanses the most diseased of all, the lepers. We want to rich and blessed, but Jesus bring good news to the poor. Jesus receives John’s doubt with mercy. Jesus doesn’t scold the prophet for his questions, nor rebukes him for his uncertainty. Jesus praises him instead. John is the prophet who has prepared the way, who has announced the coming of Messiah. Even if it isn’t the Messiah John imagined, it is still Messiah. And just as Jesus does for John, Jesus receives our lofty expectations for God with grace too. Jesus doesn’t scold us for not getting it. Jesus gathers us into his Body, Jesus prepares a place for us at the table, even when we have imagined something completely different. We are still made to be the hands and feet of Jesus in the world, bringing about God’s kingdom. Father Angelo took a few steps and then turned back to Bill. Bill didn’t answer, but he stepped aside and let Father Angelo enter the room. Having been at death beds before, Angelo could tell that Harriet was near the end of her life. “Of course” Father Angelo replied. “Read to me what they heard in church this morning” Harriet asked. 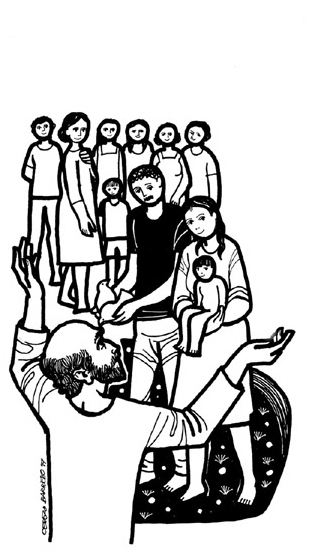 And so Father Angelo read to her the story of John the Baptist, asking if Jesus was the one. When he had finished, Harriet smiled. “Read the last part again Father” she said. “The part about the messenger”. After that the three sat together until the end. And every year afterwards, on the 3rd Sunday of Advent, Bill and Father Angelo met to go to grave, and for lunch. And Father Angelo would read the story of John the Baptist, wondering if Jesus was the Messiah. Like John the Baptist, we wonder if Jesus really is the one. We lose hope, when our expectations are not met. Yet thankfully, Jesus has not come to be what we want, to live up to our expectations for Messiah. Jesus doesn’t conquer our enemies, nor protect us from all harm, nor bless us with riches. Jesus has come to give us what need. Sight for the blind, hearing for the deaf, the lame to walk, the lepers to be cleansed, good news for the poor. Jesus is the Messiah who is meeting where we are, who is coming into lives that we live, not the lives we hope for. We want a Messiah who will take us away and give us a new world, but Jesus comes here and now, to show us mercy. “Are you the one, or are we to wait for another?” It is a question we all ask. Now John wore clothing of camel’s hair with a leather belt around his waist, and his food was locusts and wild honey. Then the people of Jerusalem and all Judea were going out to him, and all the region along the Jordan, and they were baptized by him in the river Jordan, confessing their sins. But when he saw many Pharisees and Sadducees coming for baptism, he said to them, “You brood of vipers! Who warned you to flee from the wrath to come? Bear fruit worthy of repentance. Do not presume to say to yourselves, `We have Abraham as our ancestor’; for I tell you, God is able from these stones to raise up children to Abraham. Even now the ax is lying at the root of the trees; every tree therefore that does not bear good fruit is cut down and thrown into the fire. This was the promise that our Advent waiting began with. Each year, as we begin a new church year, we begin with waiting. As the world explodes Christmas everywhere, with sales and music, concerts and tv specials, we wait. We wait and sing hymns about preparing and getting ready. We pray for God to stir us up, for God move us as the Body of Christ. To move us with compassion and love for a world desperately in need of a saviour, desperately crying out for healing. As green and red colours dominate the colour scape of our world, we decorate here with a defiant blue. Blue that symbolizes patient waiting and hopeful anticipation. We acknowledge that we aren’t there yet. Last year, the middle of Advent was marked by a mass shooting in an elementary school in New Town, Connecticut. This year, our Advent waiting will be marked by global grieving, remembering and celebrating Nelson Mandela. How very inconvenient and how very appropriate. Advent is about discomfort, and what could make us white, North Americans more uncomfortable than dealing with the legacy of a figure who challenged our position of privilege, a man who was jailed for 27 years because of the colour of his skin, and someone who then became an icon of forgiveness and reconciliation. It is hard to not to think of Nelson Mandela as we hear John the Baptist preach this morning. John is standing on the banks of the river Jordan, out in the wilderness of Judea. He is a figure who is outside of the political systems of his day. He is not a priest preaching in the temple of Jerusalem. He is not a rabbi teaching in the synagogues. He is a prophet, a truth teller, preaching in the wilderness. And John’s message does not uphold the traditions. He is not hoping to help people learn or grow in their faith. He is pointing to the problems and injustices of the world. His message is a warning – the world, and us along with it, is going to be transformed. We might expect that John’s warnings would be dismissed as crazy, the announcement of the change to come sounds impossible. He should have been all by himself preaching to the sand and locusts. But everyone has gone out to hear him. Those who are oppressed and suffering, the ones looking for hope, and those who are in power, the ones looking to maintain control. And his message is the same for all. Bear fruit worthy of repentance, do not rely on your position in the world. Messiah is coming and Messiah is going to turn it all upside down. John’s message would have sounded unbelievable to his hearers. The rich were rich, the blessed were blessed, the clean were clean, the righteous were righteous. The people thought God wanted things that way, that God had chosen the powerful to be powerful. And the poor were poor, the cursed were cursed, the unclean were unclean, the sinners were sinful. The people thought that God wanted things that way too, that God had chosen those on the bottom to be on the bottom. Apartheid in South Africa was based on the same ideology. White Afrikaners believed that God had chosen them, chosen white, rich, privileged people to rule over the black, poor, marginalized people of the continent. And many believed that this system was immutable and unchangeable. It is not just in South Africa that people have believe in a system of privilege like this. In the United States many felt white people had the right to own black slaves. Here in Canada, many felt that white Christians had the right to civilize indigenous peoples in residential schools. And even still, we too, get caught up in believing that our world is as it should be. That the poor deserve to be poor, that the rich deserve to be rich. It is easy for us to unthinkingly assume that privilege belongs to a certain few. That we are owed something because of our gender, our skin colour, our economic status, our religion. Just like the scribes and Pharisees, we protest, “But we have Abraham as our Father.” as if we have earned our place in the world, earned our place in the eyes of God. Just like the crowds, we long for justice, but don’t believe it possible. But today John the Baptist declares a new reality. Who your parents are, how much money you make, the colour of your skin, your ability to keep religious laws, the number of times you attend church in a year… none of those things matter to God. God is sending Messiah who will turn the whole world upside down. God is sending a Messiah who will repent us, who will transform us, who will burn our chaff away, our selfishness, our sinfulness, our sense of privilege and position. God is sending a messiah who will gather our wheat, who will gather our transformed, forgiven, renewed selves into God. God is not interested in maintaining our systems of power and privilege. John declared that the system of power and privilege for a few were coming to an end. John threatened those in power, and gave hope to the marginalized crowds. In the same way Nelson Mandela stood outside the systems of privilege and power, of white against black, of rich against poor. He was released from prison and began to show his people, and the world, hope. Hope in something new and different. Hope by showing us a new vision for the world, a new vision where all are treated the same and all are equally loved. Nelson preached the transformation of forgiveness and reconciliation. John and Nelson preached a new reality, a transformed world. They preached the world of Messiah. John with stern warnings of axes and fire. Nelson with defiant humility and unwavering mercy. But neither John the Baptist, nor Nelson Mandela claimed to be the one who would bring about the transformations they imagined. They only pointed to the hope. They were prophets, prophets who pointed to the current reality and imagined a new one. They pointed to Messiah. To the Messiah who is coming with the axes and fires of transformation. To the Messiah who is coming with forgiveness and reconciliation. To the Messiah who is coming to gather God’s poeple. Messiah who will name, claim and gather God’s people, rich or poor, black or white, powerful or powerless, clean or unclean, righteous or unrighteous. Messiah is who is coming into the world of the people standing on the banks of the river Jordan, Messiah who is coming to the people of South Africa and the world, Messiah who is coming here to us today. John the Baptist and Nelson Mandela pointed to the Messiah’s world. For weeks now, we have been getting ready for Christmas, the songs, the decorations, the colours have been out for weeks. We have been looking forward to the big show at Christmas. But these preparations are only a small piece of Advent. 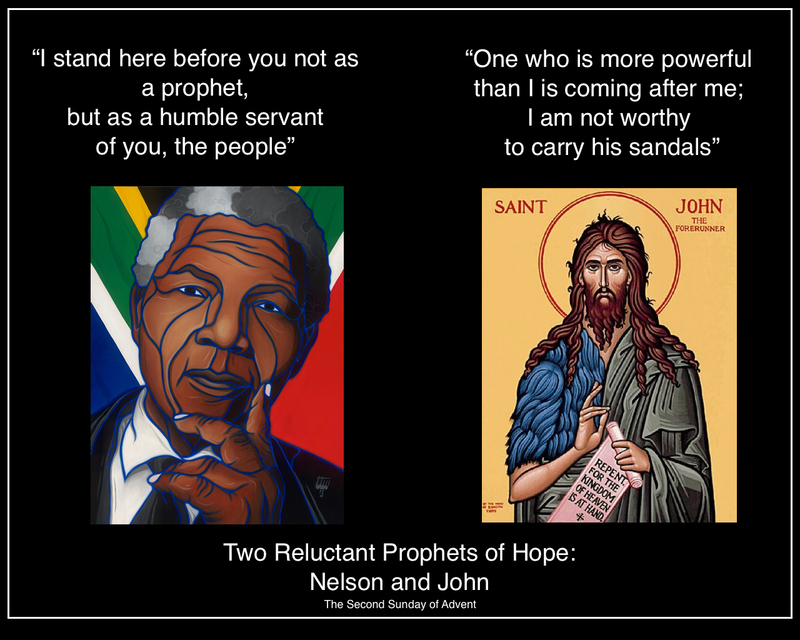 John the Baptist and Nelson Mandela get at the bigger task of Advent. The naming of reality. The prophetic word about the unjust systems that exist in our world. Systems like the temple of Jerusalem that withheld God’s love from the people. Systems like slavery, residential schools, Apartheid. Systems that perpetuate the economic, racial, gender and religious inequality of our present day. We name those things today, and then we declare, with John and Nelson, that Messiah is coming. Messiah is coming to throw out the old systems, to transform us into something new. Today, as our Advent waiting continues. Today, as we hear anew the voice of John the Baptist. Today as we mourn the death and celebrate the legacy of Nelson Mandela, we are shown a vision of the Messiah. We made uncomfortable as our systems of power and privilege are threatened. We are given hope for a world that is changeable and that will not remain unjust and unfair. Today, we are declare the Advent promise anew. A Sermon for my grandmother, Agnes. The season of Advent began last Thursday, and today we are well into the first week of the season. Advent is where Christians and the Church begin waiting and watching for the birth of the Messiah. It was last Wednesday night that our family received the phone call that Agnes had died. That mom, grandma, great-grandma had died. Agnes died on the last night of the church year. Perhaps she didn’t have another season of waiting and watching in her. Perhaps she didn’t want to start the whole process over again. Perhaps for her, the Messiah had finally arrived to take her home. It has been more than a season of waiting and watching for us, Agnes’s family. We have been waiting and watching over her for years, as her healthy body kept on going, her mind slowly degenerated because of Alzheimer’s. We waited and watched AND struggled with decisions about her care, and it was hard at times to agree what was best for her. But now Grandma’s waiting and watching is over. Now our watching and watching over her is over. Now, we are left to deal with the final things of her life. With the last thing, with death. Grandma would not have liked talk about death. She had more important things going on. She was a hard worker. She was a faithful church member. She was devoted wife, mother and grandmother. She always had some cookies and juice when you stopped by to visit, or extra pairs of slippers in the closet. And she was almost always dressed in her best clothes and jewellery, even just to take a trip to the grocery store or the bank. She liked looking her best, she liked showing off her spotlessly clean home, and she liked being noticed for being her best. Grandma liked to fuss about the little things. I remember seeing her pull out a comb to fix my hair or my sister’s, or my dad’s or grandpa’s. When I started growing a beard, she told me often that I needed to shave it, because bugs would start growing in it. She often insisted that she knew what was best for all of us. We didn’t always listen. I didn’t listen and I still have the beard 15 years later, and no bugs. But Grandma fussed over us none the less. Grandma fussed over the details, which often was her way of avoiding the big things. Big questions like death. Like so many in her generation, she didn’t want to deal with the hard or difficult parts of life. She would often shush conversation about uncomfortable or controversial topics. She would leave the room if people disagreed with her. She only had two ways of dealing with hardship. Pretend it didn’t exist, or get angry. On a day like today, she would have preferred not to talk about what we are doing today. But I haven’t accepted her advice about today either, because talking about death is exactly what we need to do today. Death cannot be avoided today. Death cannot be unspoken today. Today, death is right here in the room with us. It is a real as it can be. Death made grandma so uncomfortable for the same reason it makes all of us so uncomfortable. When we can’t pretend that death doesn’t exist today, like we try so hard to do most of the time, we are left to face our own mortality. We are left to face our own powerlessness. We are left to face our own inadequacy. We left with our own sinfulness and brokenness. We have to deal with and speak of uncomfortable things today. But this is what Advent is for. This is why the Church waits and watches. We take the time and space to admit our flaws and faults. We admit that we cannot pretend everything is fine anymore. We admit that we need someone bigger than ourselves. We need a saviour. We need Messiah. They are prophetic words not because they predict the future, but because they name reality. Simeon has waited a life time for Messiah. An entire life-time. These words, “Now Lord you let your servant go in peace” are words spoken each night in evening prayer. They are rehearsed and practiced every night by Christians around the world. They are also words often sung at funerals. The words that Christians use for prayer on a nightly basis are a rehearsal for that final moments of life, for when are at the end. In Advent practice as we wait. We rehearse what takes a life time to get used to. We practice getting to the end. We practice so that we can talk about the difficult things of life, so that we have the words to speak. And the whole while as we wait and practice, God is there with us. Even as we wait for God, God waits for us. As Grandma waited for her end, as we waited and watched, God was right with her, with us, waiting and watching too. That is how God is, while we are expecting for the big show of Christmas, waiting everything to be perfect, shushing or avoid the difficult things, God is showing in the places we least expect. God shows up in Advent, in our waiting. God shows up in our suffering, in our powerlessness. And today, God shows up in death. Because Messiah, who is coming in Advent, is not coming just to lie in a manger. Messiah is coming for the cross, coming to die. And in death, Messiah comes to show us through, to show us the way to the other side. The way to new life in God. Now Lord you let your servant go in peace, your word has been fulfilled, for my eyes have seen your salvation. Confirmands, today you have done something bold and courageous. Something that, in fact most, people on the street would consider crazy. Something that, many people here today would not do, even for money. You have stood before us and pointed to God, and specially to the things that God is doing in your life. Next week I have to talk about the Reformation, something that happened 500 years ago, and Baptism and Affirmation of Baptism, things that Christians have been doing for 2000 years. So today I am going to talk about you, and about what you shared, your faith. And of course about God, and what God has to say about you and your faith. Let me begin by saying that I am you. Or rather you and I are a part of the same generation. Most of the adults in the room probably don’t know this. And you guys might not really get what a generation is. But we are Millennials. Millennials, our generation, have been in the news a fair bit lately. Our parents, the Baby Boomers have been calling us lazy, they have been telling us to get jobs, they have been complaining that we grew up in a world where everyone gets a soccer trophy, and every game ends in a tie, and the thing that we have all been taught growing up is that we are special and deserve special treatment. That doesn’t sound very good does it? So what really makes us Millennials? I am 30 years old, and I was born in the second last week of 1982. Which means that I was born in the 20th century, but I didn’t become an adult until the 21st century. I am among the oldest of our generation, and you, confirmands, are the youngest. Most of you were probably born in 1998 or 1999? Right? So you were also born before the year 2000 but you won’t be adults until 2016 or 2107, the 21st century. But it isn’t our just our birth year that makes us millennials. Important events of history have also shaped our lives. You might not remember it, but September 11th, 2001 changed our world forever. You were in diapers, and I was in my 2nd week of university. The world was all of a sudden at war with terrorists. Five years ago in 2008, Banks started failing and the world economy entered a recession that was last experienced by our great-grandparents. And just recently, we have been praying about this government shutdown in the US. This too is now part of the history that defines us. But we are also the first generation to have computers the whole way through grade school. We are the first to grow up with internet, with cell phones, smart phones and with texting, with facebook, twitter, youtube. This is a world very different than that of your parents and grandparents. And having faith today, is very different from the way your grandparents and parents had faith. When your grandparents and parents were born, most people went to church. Most of their family, their friends, their neighbours were church goers. Being born in Canada usually meant you were born a Christian. The weird people were the ones who DIDN’T go to church. But for us, most people don’t go to church. Most of our friends, family and neighbours stay home on Sundays. Being born in Canada today means you can be a Christian, or a Jew, or Hindu, or Buddhist or Muslim, or Atheist, or Agnostic, or a Jedi, or nothing. And weird people are the ones who DO go to church. When your parents and grandparents were born, being a Canadian, and going to church because everyone else did was a good enough reason to be a Christian. But today for us, we need more reasons than that. And your parents and grandparents need more reason than that these days too. You have all just shared your faith with us, and so I want to tell you why Jesus is important in my life too. Remember the bible reading that I started with? The story of Unjust judge who doesn’t care about anyone, not even God. And the widow who bothers him so much that he finally gives in and gives her what she wants? Well, most people these days think God is kind of like that unjust judge. That God is up in heaven deciding who is good and who is bad. And some people say that if God is like that, they don’t want anything to do with God, or the Church or Christians. And other people say that if God is like that judge, we better be really good Christians and have lots of faith or we are all going to hell. Now for me, if I thought that God was an unjust judge I would never be at church. But even if God was a kind and friendly judge who was deciding to let most people into heaven, even if you didn’t have try very hard for God to choose to let us in. I would not be a pastor, I would not be a Christian, I would never come to church. So then why I still am a Christian, why I am a pastor? Because I was lucky enough to have a family, to have a church, to go to and work at Bible camps, to go to university and have teachers and professors, to have pastors in my life, and confirmation teachers and youth leaders like yours who taught me something different. They told me about Jesus who is not like the judge at all. They told me about Jesus who is much more like the widow. Jesus is the one who keeps coming, and bothering, and annoying and interrupting and trying to be a part of my life. Jesus is the one who will keep trying to find me and who keeps loving me no matter what. Church is not a place for perfect Christians or good people. In fact, if any of us were perfect Christians or truly good people, we wouldn’t need to be here. Instead, Church is a place for weird people. For widows, for broken people, for sinners, for sick, depressed, lonely, losers like you and me. Church is a place for people who need to be loved and cared for. For people who need justice like the widow in the story today. As you grow up and go out into the world, there are going to be a lot of people who will tell you that God needs you to be a better person and that God needs you to be a good Christian with lots of faith. And there are also going to be other people who tell you that God is evil and bad, and that God probably doesn’t exist at all. They are ALL wrong. Don’t believe any of them. Remember the widow… the one who just keeps coming until she gets what she wants. That is who Jesus is like. Jesus will just keep coming for you, bothering you, annoying you, interrupting you until realize that God loves you unconditionally. Church is not for better people and good Christians with lots of faith. God’s church is for broken and sinful people, people like us who need healing and forgiveness. God’s church is for people with weak faith or no faith, people like us who need good news. God’ church is even for people who aren’t sure if God exists, people like us who God believes in and who God has known since before time. Jesus always has a place for you here. A place at church, and a place at his table. A place here with all these other broken and sinful people, here with God’s people. Confirmands, today, you have told all of us about how Jesus is important in your life. And we have been honoured to hear it. You have done something bold and daring. But there is something else you need to hear. Something that overshadows Jesus being important in your life. Something that is a good enough reason for Millennials, like you and me to go to church. And that reason is that you are important to Jesus. You are the ones that Jesus will keep coming for and Jesus will never stop until he gets what he wants, until Jesus gets a hold of you, and you know that you are important to God and that you belong here.